About the Series: The Vicki Silver Mystery Series is about a young woman and her group of friends solving crimes and other mysterious events. The stories are energetic and suspenseful, while remaining family friendly. The characters uphold Christian principles, and take opportunities to wrestle with issues of faith and family. 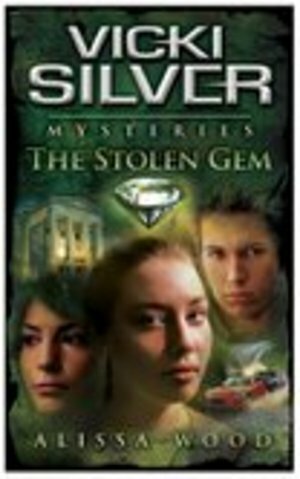 About The Stolen Gem: When a priceless diamond is stolen from the Heritage Museum, Vicki Silver and her best friend C.J. are immediately on the case. The girls get jobs as tour guides for the museum, and hope to unearth all the clues they will need to expose the crook. Once on the inside, can they piece together the puzzle and discover the thief’s identity, or will he discover theirs first? Police Chief Stevens isn't much help when the girls present evidence pointing to the mastermind. So, they must set out on their own to bring the suspects to justice. Harrowing car chases, foot pursuits, kidnapping, and a lot of self defense moves makes for a story that will keep you captivated until the end. Author Biography: Alissa Wood began writing the Vicki Silver Mystery Series at the age of 14. By the time she graduated from High School, she had completed a total of seven books in the series. Currently, Alissa is a college student where she is an English Major and also enjoys theater.